Talk Bite: Chalk White – Make Your Plans Now! We reported the save-the-date here…so there’s no excuse to say you haven’t cleared your calendar for THIS event. 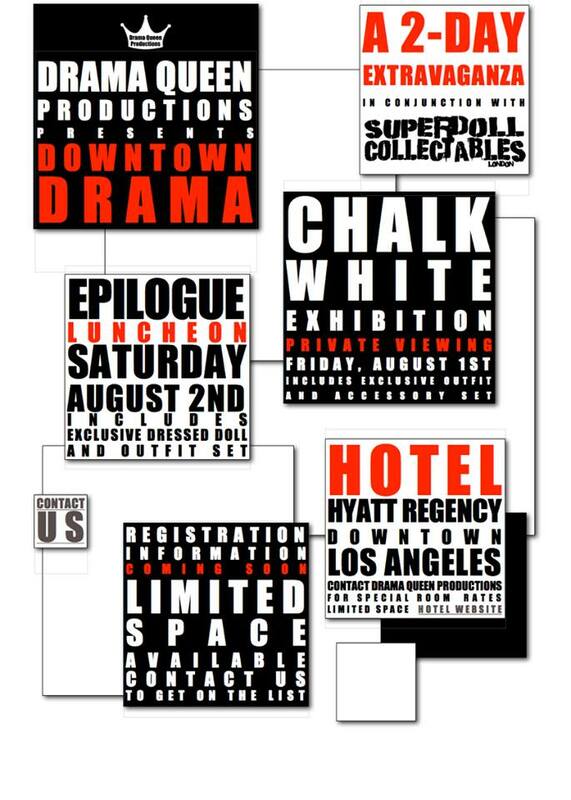 Superdoll in America – the Chalk White Exhibition at the LA Fashion Institute of Design & Merchandising promises to be THE doll world glitterati event of the year – and quite possibly one that will attract the fashion & entertainment industry given its prime location.